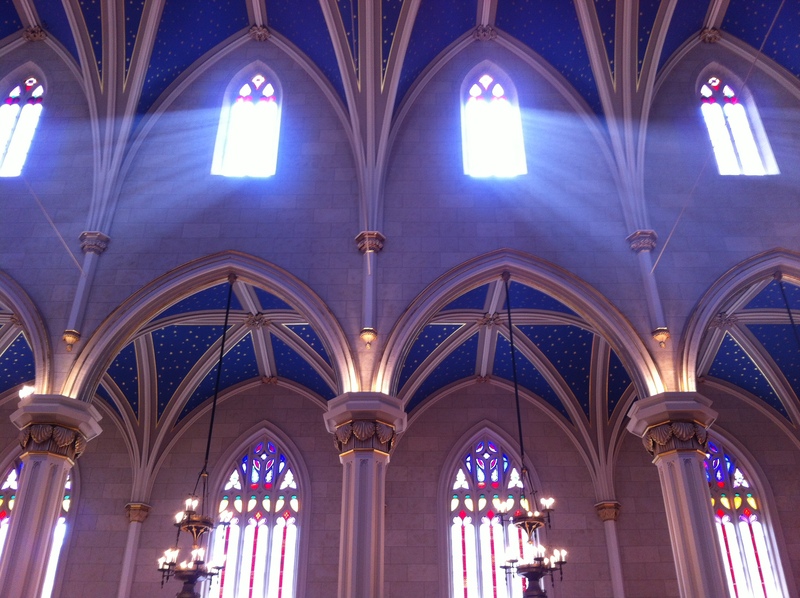 One of several photos I took at our cathedral before the archbishop’s service for catechumens and candidates. We have over 400 people entering full communion with the Church this Easter! The light streaming in from on high could not have been more appropriate for this day. How awesome is God, and how beautiful is the Faith! This entry was posted in Beauty, Catholic, Catholicism, Christian, Christianity, Church and tagged Beauty, Catholic, Catholicism, Christian, Christianity, Church, Conversion, Faith, full communion on March 18, 2014 by Thomas.